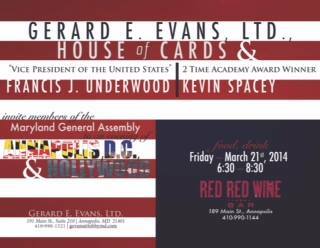 What could guarantee better media coverage than a reception with a major celebrity closed to reporters, who gathered outside the Red Red Wine Bar in Annapolis as actor Kevin Spacey was ushered in the back door? 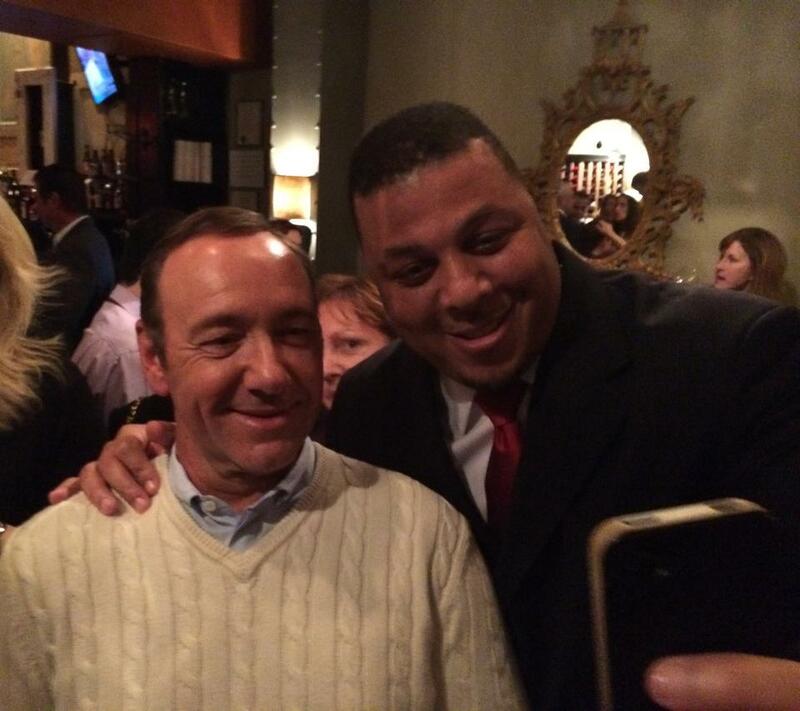 Maryland legislators and friends couldn’t resist posting pictures of themselves with Spacey on Facebook. 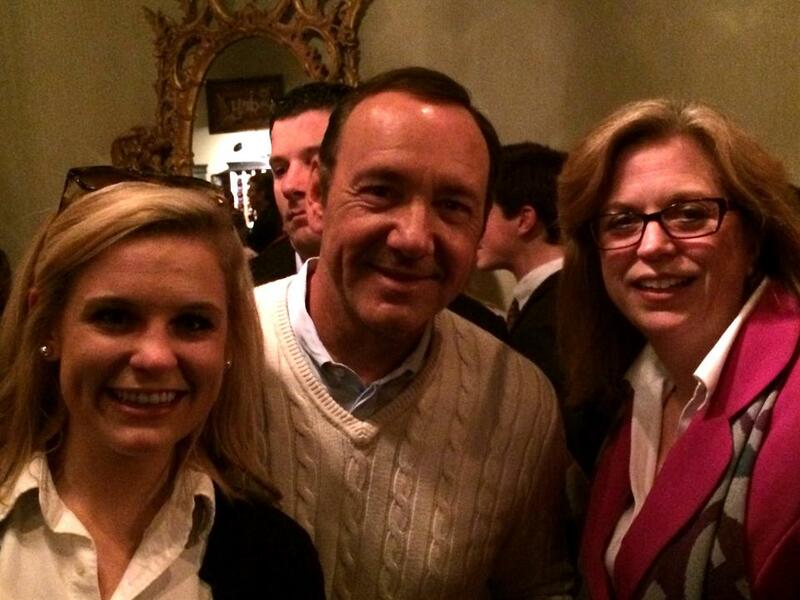 He stars as Frank Underwood, now vice president and lead of the dark political drama “House of Cards”on Netflix. 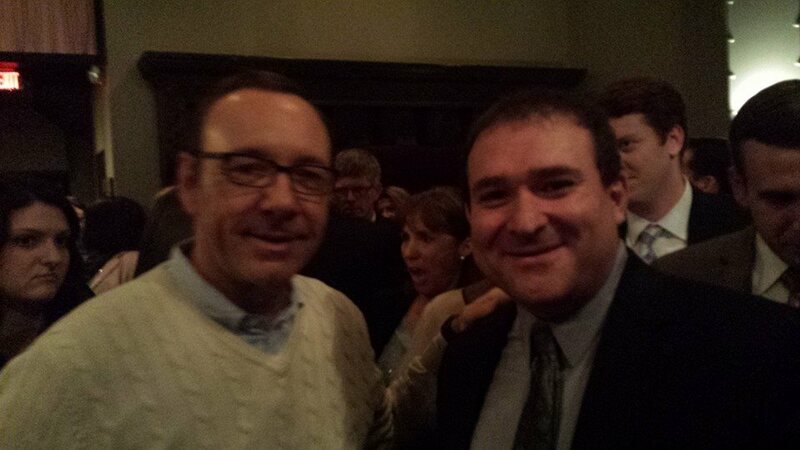 Want to hear what Spacey told the crowd in support of a expanded tax credits for film production in Maryland? 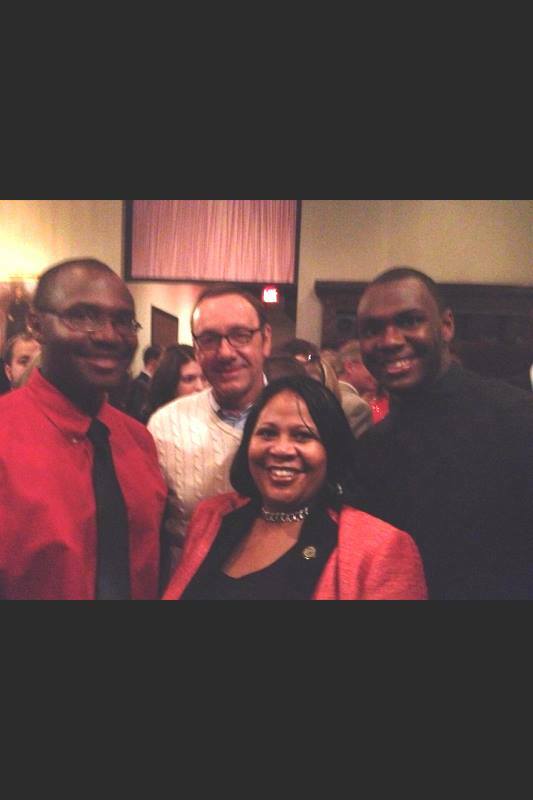 Thanks to Melanie Miller of Comcast for posting the five-minute video on Facebook. 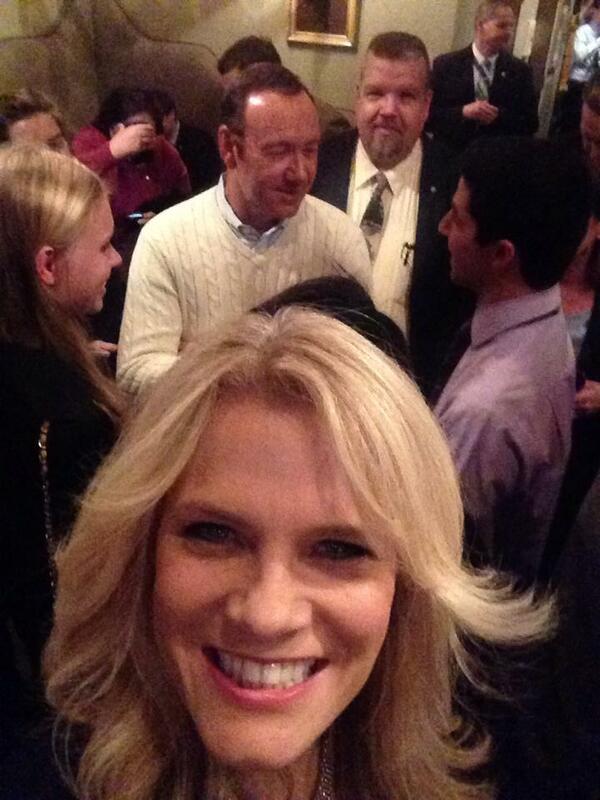 Here’s what WBAL radio’s Rob Lang posted about the event with audio from folks outside. 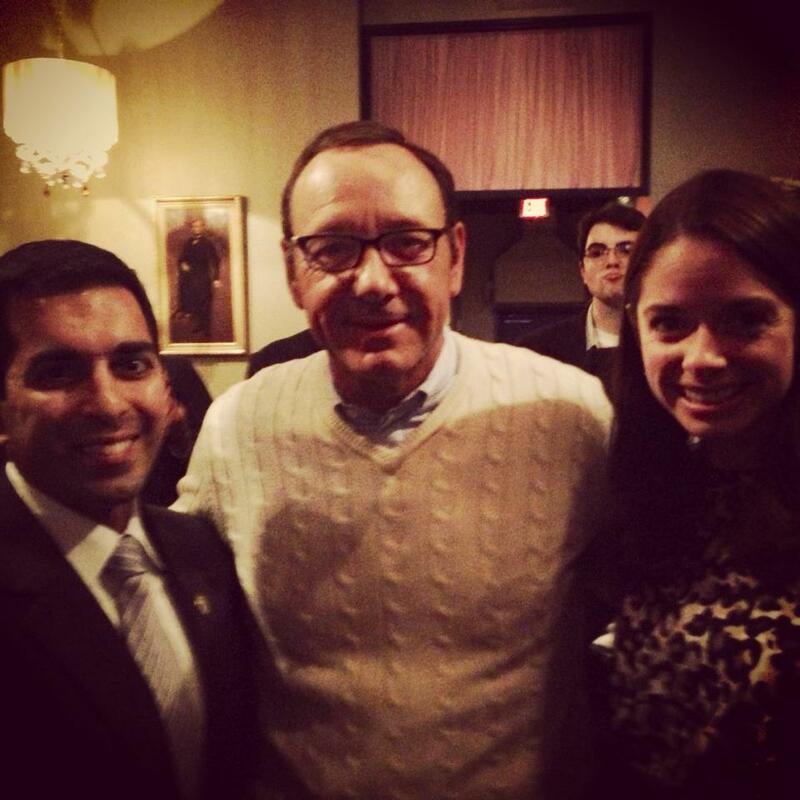 Jenna Johnson and John Wagner of the Washington Post have full blown details, including quotes from Space’s five-minute pep talk drawn from Melanie Miller’s video. 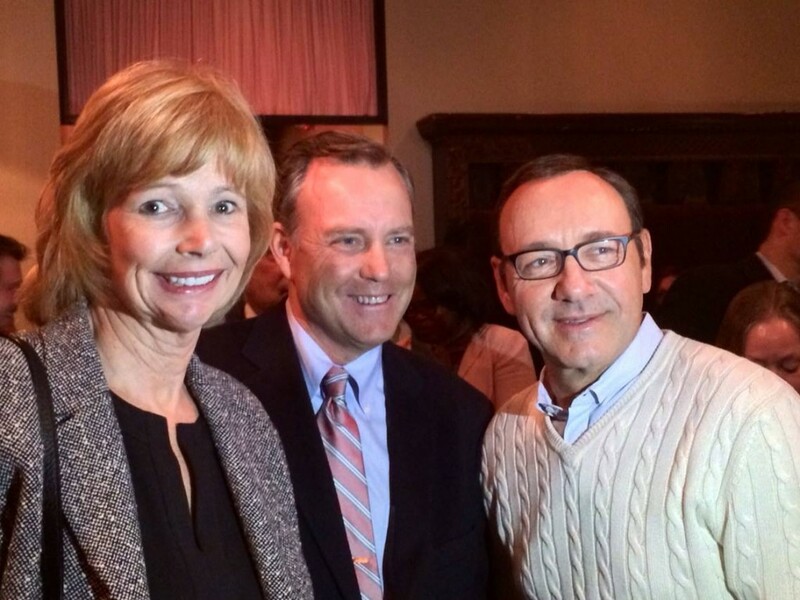 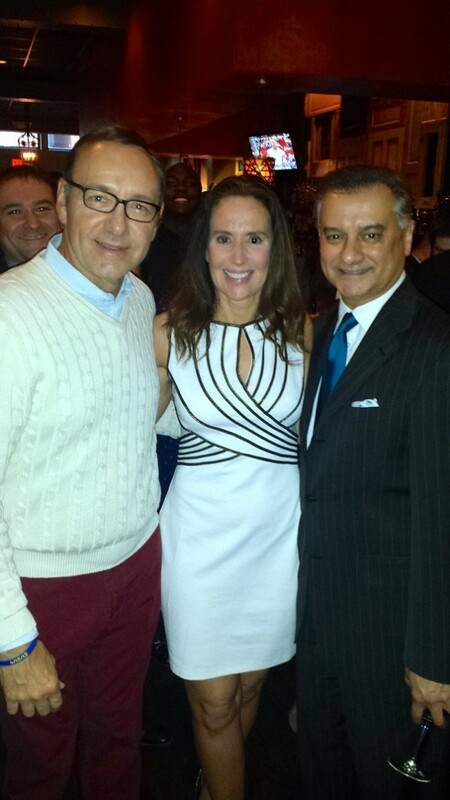 Sen. Nancy Jacobs with Spacey. 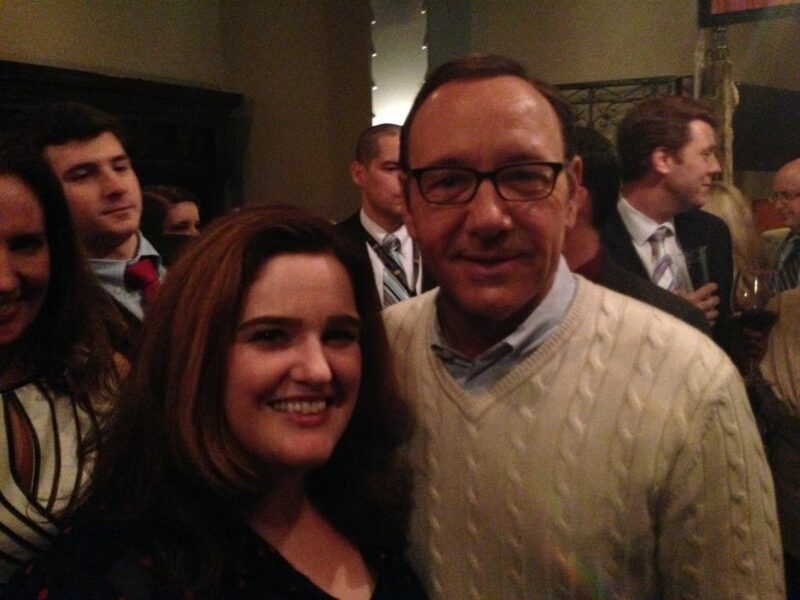 Melanie Miller with Spacey in background.